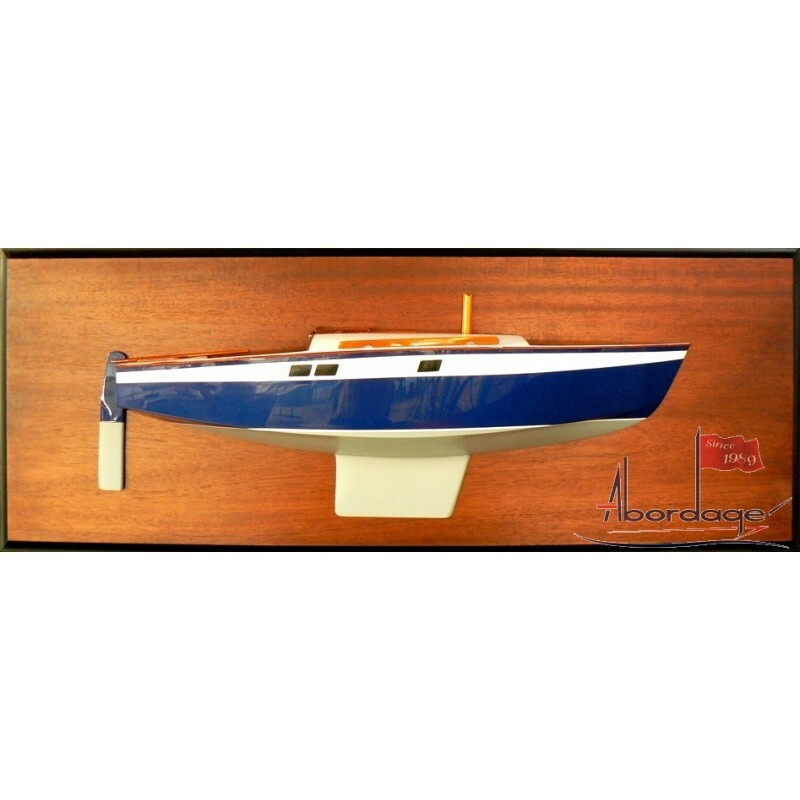 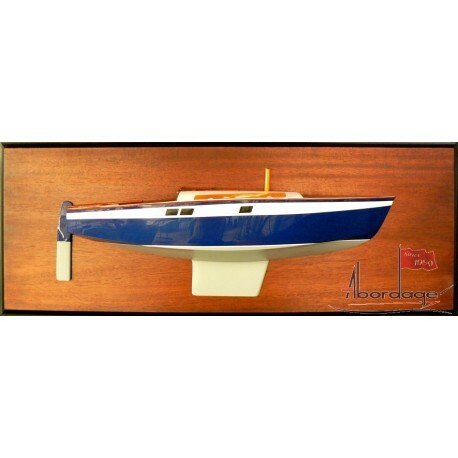 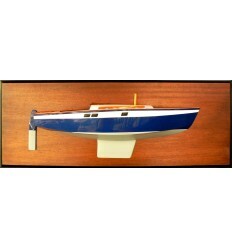 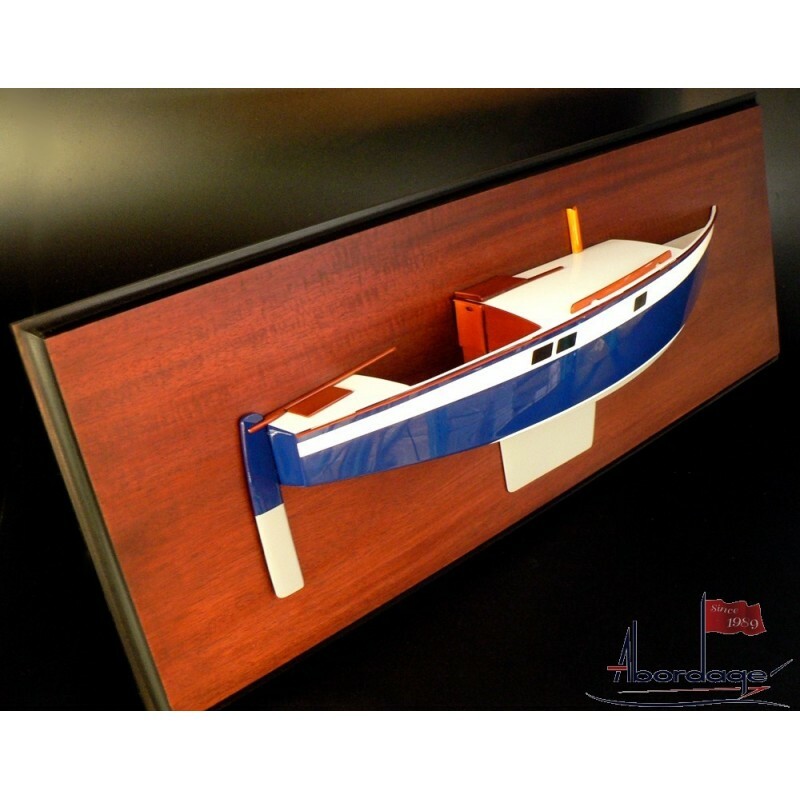 See this outstanding half model of the Muscadet, a very nice boat designed by the french Philippe Harlé in 1963 and built by Le Chantier Aubin in France. 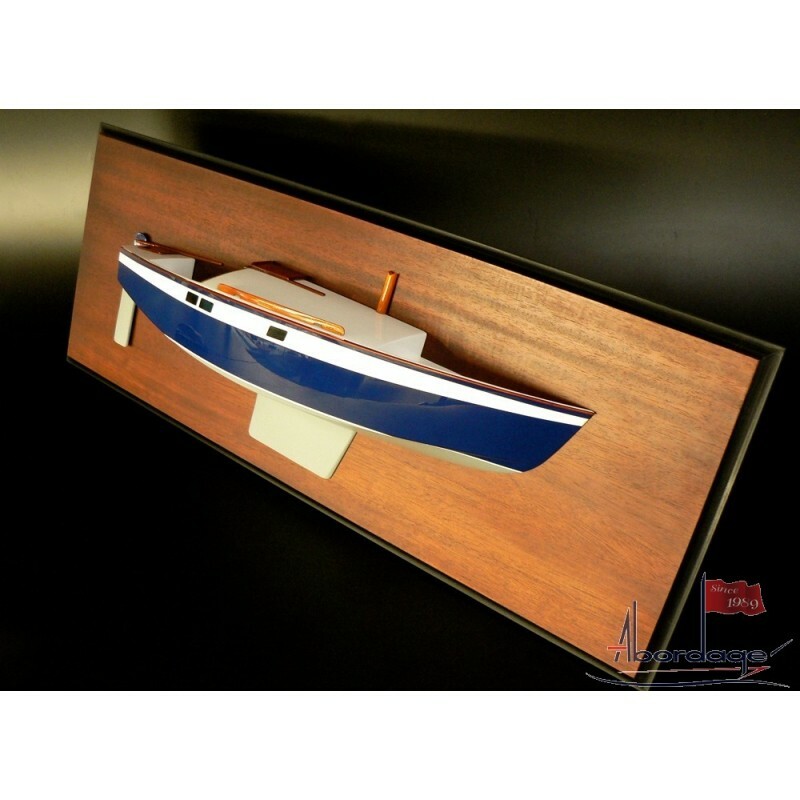 Made of wood, fully customised for childhood memories. 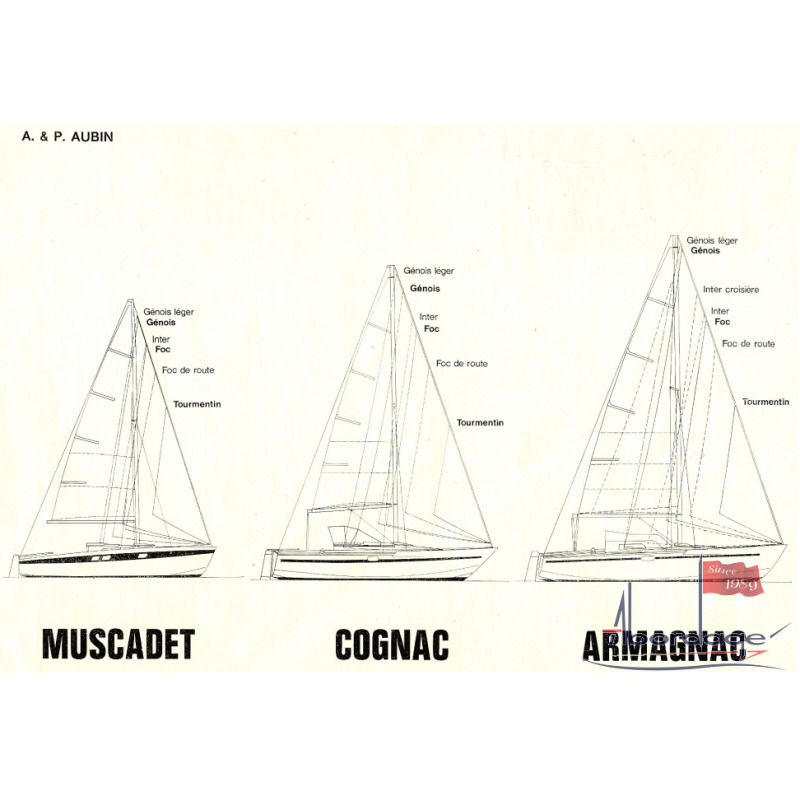 Le Chantier Aubin, built a series of 3 boats, the Muscadet, the Cognac and the Armagnac.